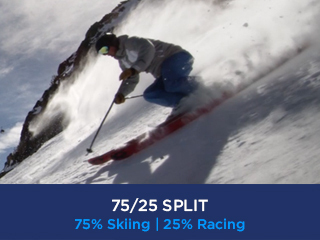 Interested in taking your skiing or riding to the next level but don’t know where to begin? 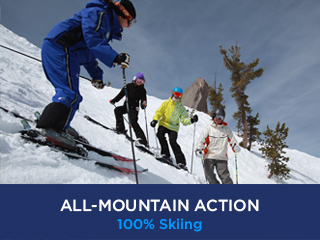 Look no further than Ski Ride Race Camp at Mammoth Mountain! Ski Ride Race Camp offers 5 days of on-snow instruction with Mammoth ski instructors, in small group classes tailored to your level. You can select a program that fits your needs and interests, whether you’re looking to ski from the top for the first time or carve turns on the race course. 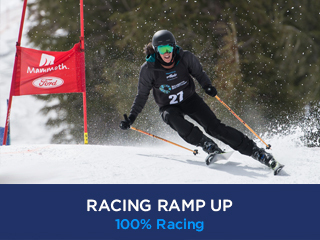 Racing Ramp Up is ideal for those who are comfortable running gates all day, and especially for recreational racers who don’t always have the opportunity to train for an extended period of time. 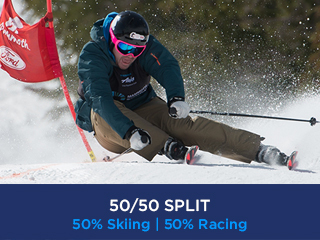 The 50/50 split is great for any ability level, no matter your intensity when it comes to skiing and racing. You’ll divide your time evenly between freeskiing and gate training, which plenty of chances to improve in both areas. This package is perfect for skiers looking to get to the next level. 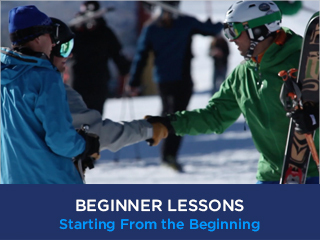 Because you have the opportunity to ski with an instructor over 5 days in a row, you can progress significantly each day and ski new types of terrain. This is great for folks looking to spend most of their time freeskiing while still getting the opportunity to improve their racing abilities. It’s a perfect option for those getting into gates for the first time or those who don’t race very often. Starting from the beginning? Not to worry! Taking beginner lessons at camp is the best and most affordable way to learn. By getting the basics out of the way in one shot you’ll be able to move to the next level in much less time. Popular culture would have you believe snowboarders learn their skills first thing when they hop onto their board, but we know that’s how it works in the real world. Improve your technique by leaps and bounds in just 5 days. Pricing subject to change – 2019 camp prices are not available at this time. *Transportation to Mammoth Mountain not included. Carpooling can be arranged for registered participants. *Pricing subject to change – 2019 camp prices are not available at this time. The best part of the many ski camps that I’ve attended is the rapid improvement to my skiing ability. The Mammoth Mountain ski and race instructors are great at recognizing your skills and your areas that need to be improved. Also, having an instructor by your side gives you the confidence to try terrain that you would not ski normally. By the end of the week you are skiing more effectively and with less energy spent.